Digital citizenship is an essential 21st century literacy that empowers students to navigate the digital world more safely, respectfully and responsibly. It is a set of interconnected skills that, taken together, form a holistic pedagogical framework to foster students learning in a digitally focused environment. 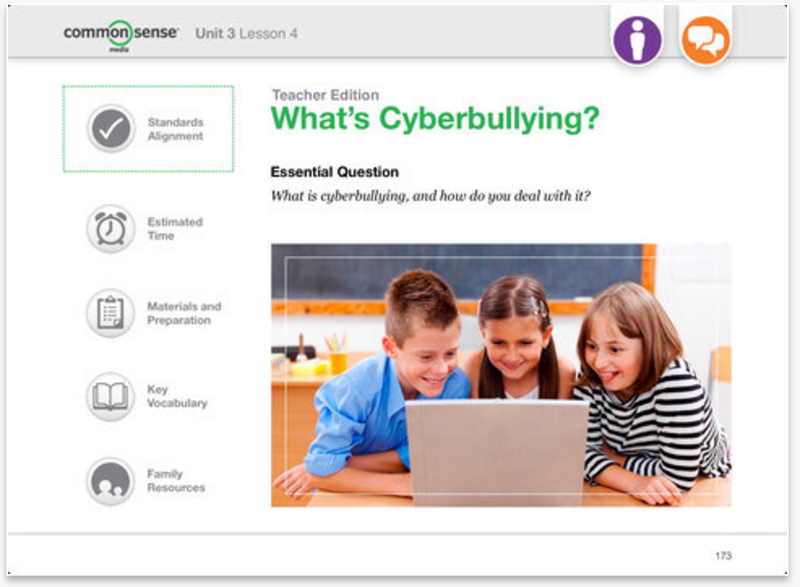 To help teachers incorporate the ethos of digital citizenship in their classrooms, Common Sense Media has put together this interesting resource titled ‘Digital Literacy and Citizenship (teacher edition)’ . This is a curriculum designed specifically for upper elementary to help students learn the basics of digital citizenship while also developing their digital literacy skills. This curriculum consists of three main units each of which targets a particular grade (unit 1 for 3rd grade, unit 2 for 4th grade and unit 3 for fifth grade). Each of these units contains a number of topical lessons with a total of 15 appropriated developed lessons. Additionally, the components of this curriculum are based on ‘the digital ethics research of Dr. Howard Gardner and the GoodPlay Project’. It is also aligned with the English Language Arts Common Core State Standards (CCSS), the American Association of School Librarians (AASL) and references the International Society for Technology in Education Standards for Students. This resource is available for free download to be read in iBooks.